Summer in Vancouver is so chock full of fun things to do & fabulous weather that it’s amazing anybody gets any work done at all. I say this as I’m sitting inside at my desk, listening to kids laughing outside & wishing I was at the park with my pups. But my favorite summer festival is right around the corner, so that means it’s crunch time! 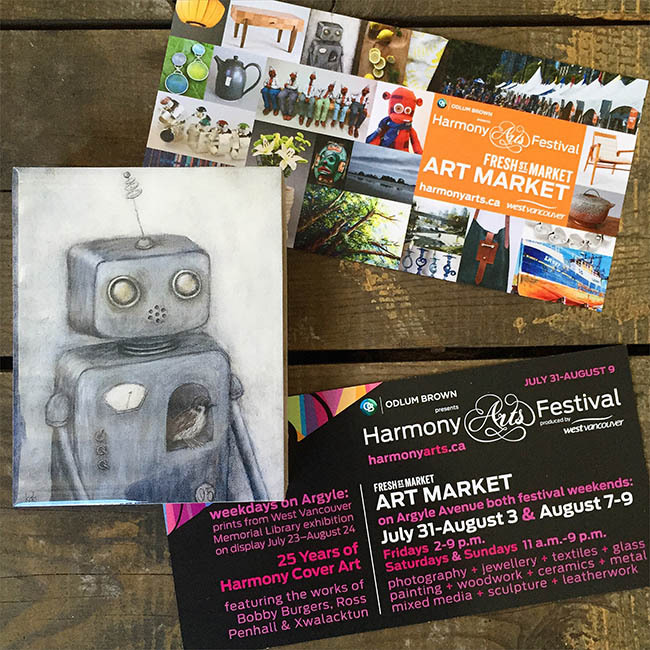 Harmony Arts Festival officially kicks off on Friday, August 31st and runs for 2 full weeks along Argyle Avenue in West Vancouver. With rows of tents housing incredibly talented artisans, music filtering through the trees & a waterfront wine garden, it’s well worth spending an afternoon or two engaging all your senses amidst the stunning ocean setting. The official postcard for this year’s Art Market even features one of my robot paintings – Rupert! Rupert (robot no.5) by painter Kris G. Brownlee of A Cagey Bee on the postcard for West Vancouver’s Harmony Arts Festival for summer 2015. 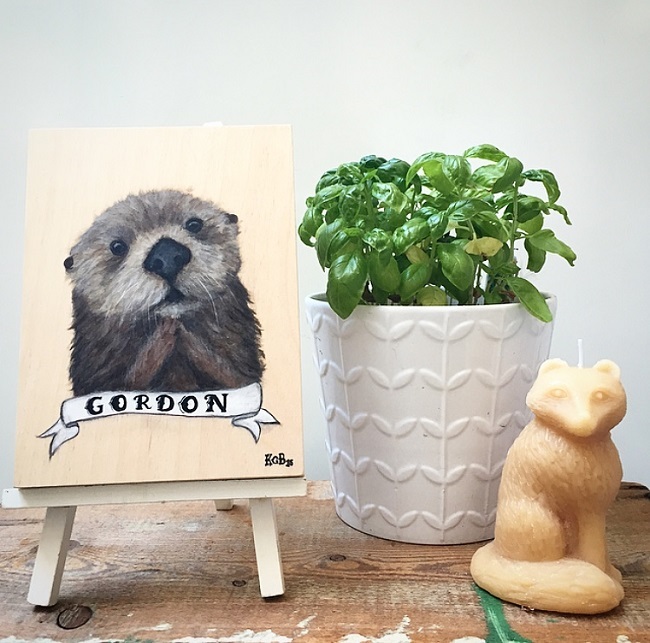 My Etsy shop has 8×10 paper prints of Rupert plus lots of other robots. At Harmony, I’ll have two large limited edition prints on metal (16×20) of Rupert and Felix (robot no.8) plus my wood art blocks sealed with resin. 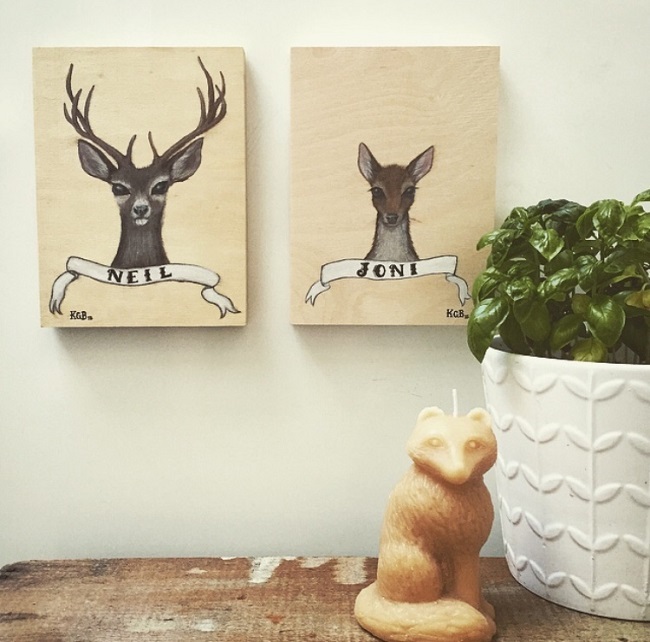 These portraits started from wanting to create something that speaks to Canadiana without being tacky tourist crap covered in maple leafs. More about them soon! In the meantime, back to figuring out how I’m going to display everything I’ve been working on this year!